We offer spray foam insulation for your attic, walls and under your floors in Georgia and South Carolina. Designed to save you money on your heating and cooling bills. Call (843) 227-4731 for a quote today and start saving in 2 weeks! Your heating and air conditioning unit will be operating in a warmer/cooler environment so it does not have to work as hard and be on as long. Our closed cell spray foam is an ideal moisture barrier for under your flooring. It helps keep the moisture out of your wooden floors. It also controls rodent penetration. 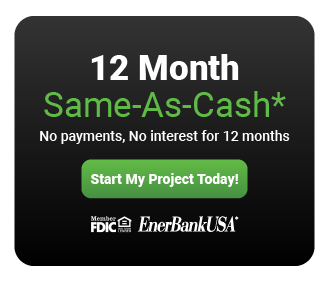 Finance your project with our 12 Month-Same-As-Cash financing. Just click the box to the right to begin. We are now offering spray foam and fiberglass insulation in new construction and retrofit. Spray foam is the most efficient form of insulation because if forms to fit any area, leaving no airspace. Spray foam insulation can reduce your utilities up to 40%, and can be installed in roof decks, sub-floor and exterior walls. We provide free estimates and will gladly talk to you about the best option for your situation.